Lifelong Bionic fans John S. Drew and Paul K. Bisson take an in-depth look at the Six Million Dollar Man and the Bionic Woman. It's a fun, lively, and informative discussion with fellow fans, including the web masters behind popular Bionic fan sites and blogs, contributors and consultants of officially licensed Bionic merchandise, notable names in Geekdom, and authors of fantastic literature. But the fun doesn't stop at episode reviews. John and Paul also interview the folks involved in bringing these science fiction classics to the screen, from actors to writers to producers. They also talk to the people who are keeping the Bionic Universe alive with new officially licensed creations, from comics to toys. Come join in the fun! 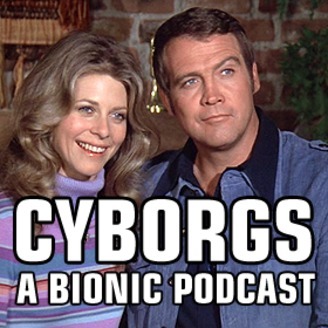 You can find Cyborgs: A Bionic Podcast at http://cyborgspodcast.com. 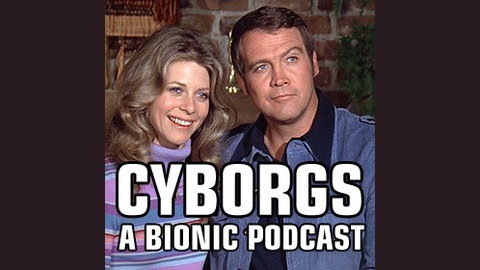 Cyborgs: A Bionic Podcast returns with ALL-NEW episodes — starting with our Case File interview with veteran TV director Alan J. Levi (The Invisible Man, Battlestar Galactica, The Incredible Hulk, Airwolf, Magnum P.I., Quantum Leap, Lois & Clark: The New Adventures of Superman, Dr. Quinn Medicine Woman, ER, JAG, NCIS, Buffy the Vampire Slayer). Paul K. Bisson talks with Alan about his life, career, and directing some of most memorable episodes of THE BIONIC WOMAN — including Angel of Mercy, The Deadly Missiles, Mirror Image, Road to Nashville, Sister Jaime, Biofeedback, Deadly Ringer, Beyond the Call, The Night Demon, Once a Thief, African Connection, and Escape to Love.